How much waste do restaurants produce? Each year, food waste costs restaurants £682 million per year. Responsible for creating 22% of the Hospitality and Food Service industry’s waste, restaurants produce 915,400 tonnes of waste, including 199,100 tonnes of food waste. Businesses are currently losing 97p from each meal they serve in avoidable food waste. Regardless of what type of restaurant you operate, shaving almost £1 off your profits from every meal served will have a significant impact on your bottom line. Take a pub restaurant for example; according to data from How To Run A Pub, the average spend on a three-course pub meal is £14.48. 6% of this amount (97p) is immediately stripped from this total to account for avoidable food waste, before overheads like wages, utilities and maintenance are removed. However, it’s pleasing to see that restaurants have strong recycling rates. Over half (51%) of all waste from restaurants is recycled, with 65% of packaging and other wastes recycled. Clearly then, for restaurants to minimise the impact on their bottom line, they need to implement efficiencies — especially when it comes to waste management and disposal. But is this easier said than done? Reducing food waste involves understanding your customers. One survey found that more than a quarter of diners (27%) left food on their plate when dining out. Generally, it seems that diners are comfortable with this, as three fifths said doing so was not concerning. Chips were the most common food left on plates, with 32% of diners leaving some uneaten. Vegetables — such as peas and salad garnishes — followed in second place(18%). So why are customers leaving food uneaten? Overwhelmingly, 41% said that they did so because the portions were too big. Other factors can also have an influence. The number of courses ordered can influence how much food is left; diners may, for example, leave more of their main course if they have ordered a dessert. Who we dine with can also influence how much we eat; if we are comfortable with our company, we will usually eat more than what we would in a professional situation. Because the causes of uneaten food are rooted in consumer behaviour, it is unlikely that they will make a conscious decision to minimise food waste. This means it is a restaurant’s responsibility to do all they can to reduce the waste their business produces. Offer flexibility with your menu — allow diners the option to change the sides served with a particular dish. If customers are not able to change their sides, they may order additional items separately, meaning they will leave more of the original dish. 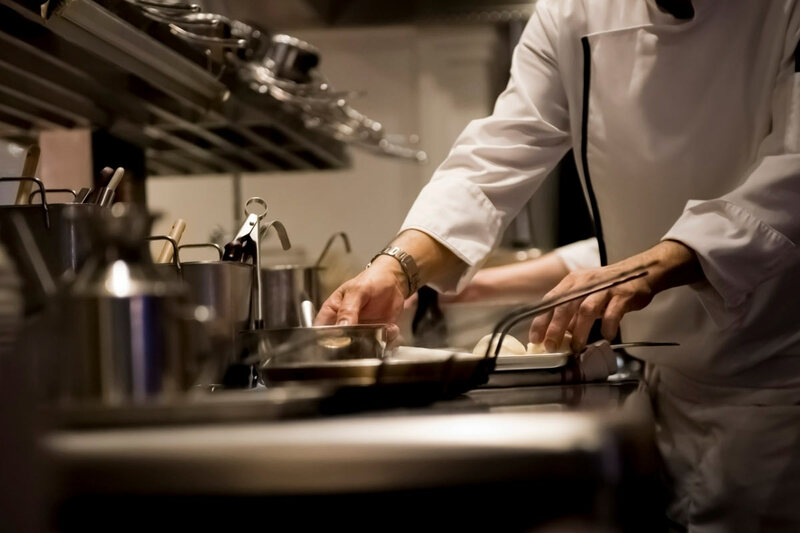 Some restauranteurs may encourage this to boost revenue generation, but it’s important to remember that increased food waste may lead to greater costs, essentially neutralising the aim of this strategy. Cater to different levels of hunger — not all diners will want a huge meal — what about those popping in for a sandwich at lunchtime, for example? Cater for all by including lighter options on your menu, and naturally reduce the cost accordingly. Push staff to offer takeouts — 42% of people said asking for a doggy bag is embarrassing, yet 74% said they don’t might being offered a carton to take leftovers home with them. Train your staff to ask customers who have a lot of food left on their plate whether they want to take it home with them. Hire a skip – By establishing what size skip you need, all of your waste can be accommodated for, managed efficiently, and taken to an appropriate recycling facility. Whether your site requires a 4 yard skip, an 8 yard skip or 16 yard skip, companies such as Reconomy help you combat waste issues. The small savings made through greater attention to restaurant food waste may seem insignificant but in a competitive industry with rising costs, any threat to your bottom line needs to be dealt with as a priority.